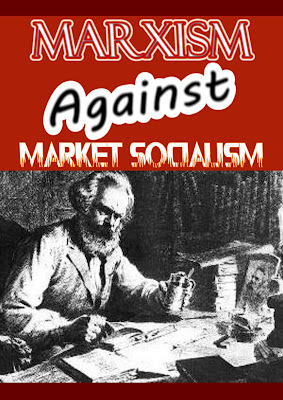 The issue of market socialism verses collective socialism began in the first flush of the modern socialist movement of the industrial working class in the 1820's. subsequent controversies between Marxism and varieties of market socialism expressed a struggle between a bourgeois line and a working class line in the working class movement. But the difference between Thomas Hodgkins and William Thompson in the 1820's was a difference between two of the foremost socialists of their day, neither who arrived at a comprehensive scientific analysis of capitalism. Both of these parties to this controversy in pre Marxist socialism made partial contrbutions to the development of Scientific Socialism, and the contibutions of these forerunners was acknowledged by Marx. (Both belonged to a school of Ricardian Socialism of economists who drew socialist conclusions from the work of the great bourgeois economist David Ricardo who carried out an analysis of capitalism on the basis of the labour theory of value to the highest development that it took within the bourgeois world outlook). "A sorry exchange the productive classes would make - an exchange of masters only - pampering a new host of swaggerers, with their varied coloured merits in their bonnets, instead of in the herd of capitalists. The game of the ins and outs has been to often played by unprincipled politicians on the productive classes. They will not be fooled with the same game between wit and genius, and capital: capital , the outs , wit and genius in, the ins. It is reported that Mr Liu Shao- Chi, before he was got rid of,told a group of Chinese workers who were about to go on a delegation to the Soviet Union that they should not be surprised or shocked at seeing great differences in wealth there. If some people had luxurious villas, big cars, mink coats etc while the majority had small flats, no cars no minks , that was because the the former were better workers, not because they were bourgeois. It must be agreed that Thompson had a remarkable penetrating insight in the nature of market socialism nearly 200 years ago. His point that the working class cannot emancipate itself within the market system, merely by modifying the market system, in undoubtably correct. The best that can happen within the competitive system is that the most ambitious, cunning, and lucky individuals in the working class would be enabled to claw their way into the exploiting class. If in a given society a severe crisis led to the elimination of the bourgeoisie, the continuance of the market system would generate a fresh bourgeoisie out of the masses. Exploitation cannot be eliminated within the competitive system: it can only be eliminated by communism. It is interesting to note that the advocate of competitive socialism Hodgkins quickly turned into a bourgeois liberal when the socialist movement suffered its first setback, while Thompson remained a Communist. The Communist movement predates Marxism. Marx was a Communist before he was a Marxist. He put Communism on a scientific basis. But the difference between the communist and socialist movements was already established whem Marx joined the movement, and one of the essential points of difference was competitive verses collective socialism. If free market socialists are right Marx joined the wrong movement. The Washington Consensus - what is it ?